Meet at the Minturn Ranger Station at 8:45am then we will head toward our section of road. 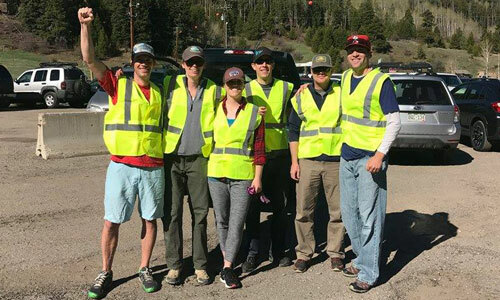 Join the VVYPA (known globally as the best looking clean up crew in an orange vest this side of the state penn) as we help keep our community clean. We have been assigned the task of cleaning Highway 24 from marker 148 to 150. The more the merrier and who knows you could go home a full set of snow tires, a new television, or a new dishwasher like former VVYPA participants have.